Cynthia Ann Christine Rothrock, is an American martial artist and actress who I first encountered in a little movie called Raging Thunder or No Retreat, No Surrender 2 (part of my beloved Seasonal Films Library). From there I followed her through the China O’Brian and Martial Law movies. It is fortuitous that she shares this triple martial arts action extravaganza with Don “The Dragon” Wilson; the pair having shared the screen in a number of Cynthia credits, including The Martial Arts Kid and its forthcoming sequel. With a fighting and acting career spanning over four decades, Don “The Dragon” Wilson has become one of the most recognized names and decorated fighters in martial arts history. Known for plenty of cult classic movies, including the Bloodfist series, Future Kick and many, many more, Don Wilson has also competed against former MMA champions, world renowned coaches and plenty of top caliber fighters in his kickboxing career. 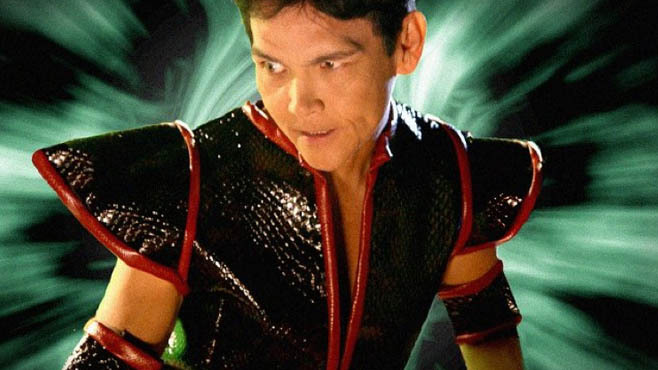 More recently, he has been active in martial arts movies once again with Showdown in Manila and some unique roles in Traditionz Entertainment’s The Martial Arts Kid and Paying Mr. McGetty. Don provides his valuable time discussing his career and upcoming work in this interview. For decades, audiences have been thrilled by the martial arts as portrayed in film. The action is so intense and stylish, with fighters appearing to fly from rooftop to rooftop like superheroes. And yet as fantastic as these films are to view, they seldom capture the essence of what it truly means to practice martial arts. For many people, "martial arts" means MMA and UFC, which are heavily focused on the spectacle of the fight, with very little attention given to tradition and discipline. All this could change with the birth of Traditionz Entertainment, a company founded by the likes of world kickboxing champion and Bloodfist star Don “The Dragon” Wilson, his brother and producer James Wilson, the Lady Dragon herself, martial arts legend Cynthia Rothrock, Dr. Robert Goldman (holder of numerous strength records and listed in Guinness Book,), as well as Cheryl Wheeler Sanders (a kickboxing champion and seasoned stuntwoman). They plan to introduce a whole new generation to exactly what it means to be a martial artist. When it comes to independent film, there is often the question of which kind of approach to take, from a mainstream fan's perspective or that of a film purist. This could also be said for the martial arts: there can always be an overwhelming popularity of one particular style, but it is the purist approach itself that determines the effectiveness of that style, or even a combination of several disciplines at once. If treated with dedication, determination and seriousness, an independent, modestly budgeted film can just as easily become every bit as memorable as those blockbuster releases by studios with ample resources and promotional ability. Such is the case with Traditionz Entertainment, the Florida based production company of James Wilson, brother of the legendary kickboxer and action movie veteran, Don "The Dragon" Wilson, and his partners Dr. Robert Goldman, Cheryl Sanders, and Cynthia Rothrock. Taking a different approach than that of your typical independent martial arts studio house, Traditionz focuses on a more family-oriented audience and indeed a purist, yet progressive stance on the martial arts themselves. Growing up in the 80’s and 90’s, I got really into martial arts movies, starting with Enter The Dragon. It is easily one of the greatest Kung-Fu movies of all time. I really got into the action movies starring Arnold Schwarzenegger, Sylvester Stallone, Carl Weathers, Jean-Claude Van Damme, Chuck Norris, and Steven Seagal. It was a testosterone-fueled decade. The 90’s wasn’t much different. During the 90’s, I began watching some of the smaller martial arts flicks with actors like Yuen Biao, Richard Norton, Sammo Hung and Cynthia Rothrock. To my great regret, there were some martial arts actors whose movies I have completely missed out on. Don “The Dragon” Wilson is one of those actors that I completely overlooked. Hopefully, I can start watching more of his stuff, because with The Martial Arts Kid, I actually like what I see. Don “The Dragon” Wilson is no stranger to the world of martial arts. In four decades, The Dragon has won 47 fights by knockouts, won the world championship title eleven times, and is regarded as the best kickboxer in the sport. Aside from fighting, The Dragon holds a passion for acting, as well. He has been acting in films since 1982, including Bloodfist, Ring of Fire, and The Last Sentinel. I had the great opportunity to ask The Dragon about his acting and one of the more recent films he acted in, The Martial Arts Kid. Don, thanks so much for joining me for this interview. 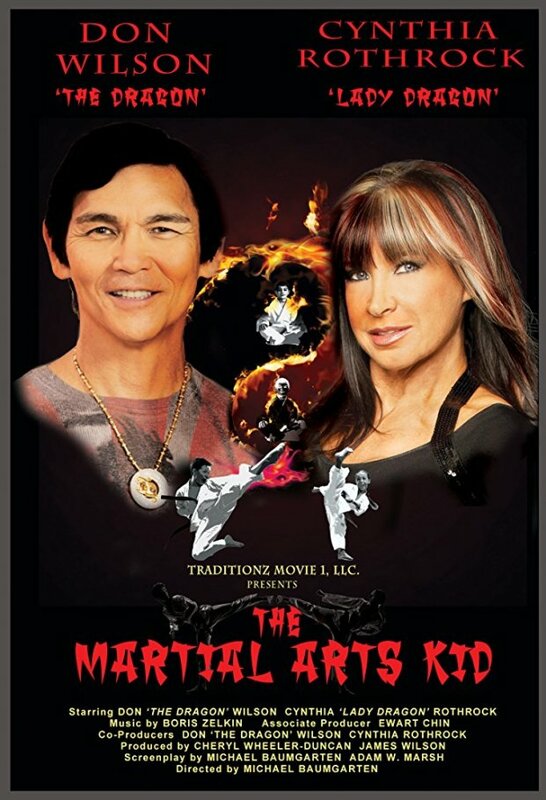 Honoring the Past, Embracing the Future Is The Martial Arts Kid a knockdown, drag-out fight flick in which Don "The Dragon" Wilson and Cynthia Rothrock lay waste to gang bangers and drug dealers? Nope. It’s more accurate to describe it as a family film in which an ordinary teen discovers the meaning of the martial arts. However, because I’m a few years past being a teenager, it wasn’t themovie’s portrayal of the trials and tribulations of teen life in the21st century that appealed to me most. What I really enjoyed was theway the movie paid homage to the men and women who helped spread themartial arts in America. Both in front of and behind the camera, thestars were out in force. Wilson and Rothrock may have retired from competition decades ago, butthey still can throw down — and they get a few chances to do exactlythat. Among other encounters, Wilson takes on martial artist T.J.Storm, and Rothrock dispatches some baddies on the beach. The man whochoreographed those close encounters is veteran martial artist, actorand stuntman James Lew, perhaps best known for his work in Big Troublein Little China. Another martial arts veteran contributed her expertise to the making ofthe movie: Cheryl Wheeler served as co-producer. You probably recognizeher name. She’s a former Black Belt columnist and WKA kickboxing champwho’s done stunt work in scores of movies — including fight-doublingfor Rene Russo in Lethal Weapon 4, which featured one of my favoritemale-on-female fights. As I mentioned, Wilson and Rothrock are center stage in The MartialArts Kid, where they’re surrogate parents for troubled teen Robbie(Jansen Panettiere). Yes, critics fired a few shots at Wilson andRothrock’s performances in the early years of their acting careers, buttheir skills have improved substantially. In fact, their scenes withRobbie are among the most engaging parts of the movie. I also loved the film’s nods to history. I’m talking about things likeRothrock’s character hailing from Scranton, Pennsylvania, the citywhere the star actually grew up. And things like the dojo her characterco-owns hosting seminars with real martial arts luminaries like Pete"Sugarfoot" Cunningham, Gerry Blanck, Christine Bannon-Rodrigues,Olando Rivera and Jeff Smith. And details like using old competitionphotos of Rothrock to adorn the walls of said dojo. The positive messages that run through The Martial Arts Kid make itperfect for youngsters who are in the martial arts, as well as thosewho should be. But there are plenty of gems that make it fun to watcheven if you’re a generation removed from that target audience. A bit of a stylistic throwback, and with a lot of homage paid to The Karate Kid with some modern day tweaking, The Martial Arts Kidgoes more the family-friendly route than you might expect from movies featuring Don “The Dragon” Wilson (Bloodfist) and Cynthia Rothrock (Lady Dragon). The Martial Arts Kid is a new take on the rites of passage Karate Kid-esque tale of a young boy who who, after falling for the local bully’s girlfriend and becoming picked on by the bully, learns martial arts to defend himself and earn the respect of his family. Aunt Cindy(Cynthia Rothrock), Robbie (Jansen Panettiere), and Uncle Glen (Don Wilson) square up to take down some bad guys. If you’re looking for a good family-oriented movie, look no further than The Martial Arts Kid. The film opens up with an arrest a teen named Robbie, played by Jansen Panettiere of Eden Falls, after what is assumed many arrests of the same kind. Robbie’s grandmother is fed up with the lawlessness and decides to send him to live with his aunt and uncle down in Florida. The aunt and uncle are played by martial art veterans Cynthia Rothrock (China O’Brien) and Don “The Dragon” Wilson (Paying Mr. McGetty). Wilson, who plays Uncle Glen, is the owner of a martial arts dojo and Aunt Cindy runs a restaurant on the beach. Robbie’s first night under the roof of his new family doesn’t go so well when he sneaks out to a gas station in the middle of the night for snacks. He meets a girl named Rina (Kathryn Newton, Supernatural) whom he is instantly attracted to, but runs into the typical problem. She has a boyfriend. Not just any boyfriend, though. Her boyfriend is Bo played by Matthew Ziff (Altered Perception) who is the town bully. One thing missing from many of today’s action films is heart. Even though it is difficult to define, most people know a movie has heart because it touches them emotionally in a way that is different then just the enjoyment of seeing someone getting kicked in the face. If a movie doesn’t have heart it can still be enjoyable but it is difficult to garner the deep connection with the audience. If a movie has too much heart the filmmakers run the risk of distracting from the story and action with a syrupy pile of sap. The 2015 movie The Martial Arts Kid is just the sort of entertainment that has enough action to keep the die hard martial arts film fans satisfied while tying in an engaging story with just the right level heart. A movie isn’t just awarded the highest rating by The Dove Foundation for being amoral schlock. (FYI –The Martial Arts Kid was awarded the highest rating by The Dove Foundation!) So join me, and bring your whole family, in a journey to the action-packed heart filled The Martial Arts Kid. Bullying is a popular theme for filmmakers now and is the inspiration for the family-friendly martial-arts tale The Martial Arts Kid. My first reaction to the title was that this was going to be a new take on or satire of The Karate Kid , but that’s not where the film went. The Martial Arts Kid is a Karate Kid themed tale following rebellious teen Robbie (Jansen Panettiere) who has various run-ins with the law. He soon moves to Cocoa Beach, Florida to live with his Aunt Cindy (Cynthia Rothrock) and Uncle Glen (Don “The Dragon” Wilson) who also teach martial arts. Struggling to settle in, Robbie takes a liking to local girl Rina, but her bully boyfriend makes it his mission to punish and humiliate the new kid. In his attempts to stand tall and win the girl, Robbie begins training with his Aunt and Uncle, soon learning that Bo the bully trains at a rival club, leading to the inevitable showdown between both sides.